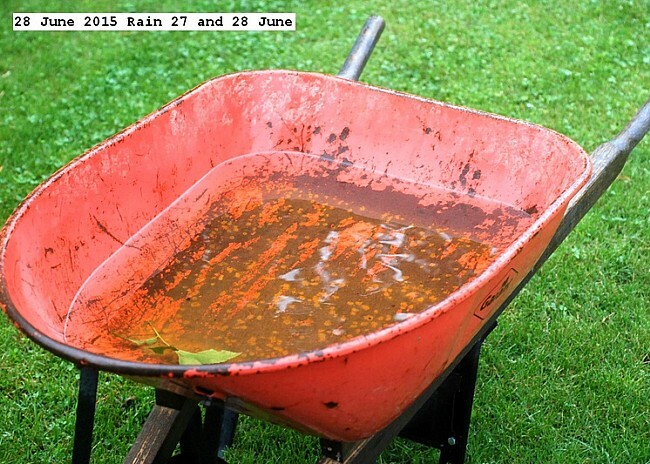 The wheelbarrow is used as my rain gauge. It has rained most of 27 June and is still spitting on the 28. Temperature is only 10 degrees C. There is a slight bit of flooding in my yard low spot.This rain was needed but there is now enough. What is required now is Sun and heat.